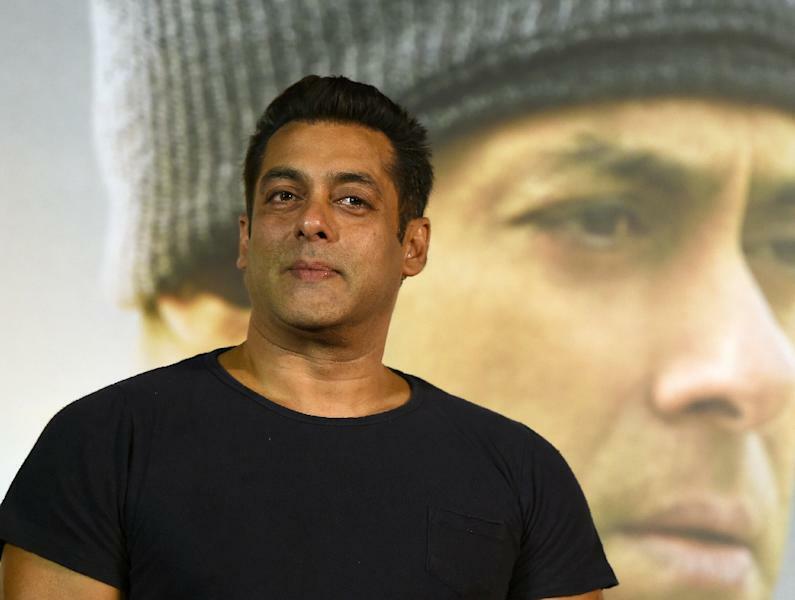 Mumbai (AFP) - The high point of nearly every Salman Khan film is when he rips off his shirt sparking frenzy among Bollywood audiences, but his millions of fans could soon be missing their macho fix. Khan, son of celebrated screen writer Salim Khan, has been jailed for five years for shooting endangered wildlife nearly 20 years ago. Accused of everything from killing a homeless man in a hit-and-run to assaulting a former Miss World, prison for poaching rare black bucks is a scenario that few could have imagined for Khan. But like the earlier brushes with scandal, it is unlikely to wound his reputation. The Indian superstar's latest blockbuster "Tiger Zinda Hai" (Tiger Is Alive) has made $85 million worldwide, underpinning his popularity. According to Forbes, Salman Khan made $37 million in 2017, coming in at number nine on its list of the world's highest paid actors, one position below fellow Bollwood star Shah Rukh Khan. His 2016 movie "Sultan", in which Khan played an ageing wrestler, notched up one of the highest-grossing opening weekends in Hindi cinema history, proving that for his legions of fans the body-building actor known as "Bhai", Hindi for "brother", can do no wrong. The actor has a cult-like status in star-obsessed India. Most of his devotees are young men who envy his glamorous lifestyle. They are largely from the urban masses around India who eke out a living in Mumbai and other cities but dream of more. They emulate his Bollywood big hair and wear pirated T-shirts emblazoned with Khan's charity "Being Human". At weekends they gather outside his home where Khan waves from his balcony. Khan has never married, which has only augmented his offscreen aura. "He has always been the poster boy of a large section of the youth population," filmmaker Nikkhil Advani, who directed Khan in the 2007 romantic drama "Salaam E Ishq", told AFP. Khan has starred in more than 100 films and television shows since his first hit "Maine Pyar Kiya" (I Fell in Love) in 1989. He has been named best actor at the Bollywood Filmfare awards 11 times since 1990. He breaks records nearly every year, defying the controversy that has dogged his personal life. Khan was sentenced to five years' jail in 2002 for killing a homeless man in a late-night hit-and-run crash. That was overturned in 2015 but the acquittal is now being challenged in the Supreme Court. His image also took a hit when he was accused of assaulting former Miss World and Bollywood actress Aishwarya Rai during a relationship which ended more than a decade ago. Khan has denied ever hitting any women. Director Kabir Khan, who worked with Khan on "Bajrangi Bhaijaan", one of his most acclaimed movies, believes his misdemeanours hint at a "vulnerability" that audiences relate to. "He makes politically incorrect statements but that seems to endear him to audiences who see him the way he is," he told AFP. "He's immensely popular because he wears his heart on his sleeve, he's a bad boy and a brat, but then he does all this good work with Being Human. "His fans stand by him and overlook many of his indiscretions by saying his heart is in the right place." Khan describes himself as a "humanitarian" on his Twitter profile and filmmaker Advani believes his "image makeover" has helped him persuade fans "to feel that he was always misunderstood and somewhat scapegoated". Khan's following has been enhanced by his hosting of the Indian version of reality TV show "Big Brother". He has also won praise for taking on difficult roles, such as "Sultan", where his weight fluctuates wildly. "He isn't just playing safe and holding on to the success, unlike some of his peers," said Kabir Khan.